St. Thomas, U.S. Virgin Islands. Nearly a dozen boats will take to the start off St. Thomas’ east end at 10 a.m. for the 4th Round the Rocks Race on Thursday, March 21. The scenic and competitive course features a circumnavigation of the 19-square-mile neighboring island of St. John, home of the Virgin Islands National Park. Then, over 50 boats are registered to race in the 46th St. Thomas International Regatta (STIR), March 22 to 24, from the St. Thomas Yacht Club (STYC). Teams competing in this largest international regatta in the territory and a ‘must do’ event on the Caribbean racing calendar, represent all three U.S. Virgin Islands, Caribbean islands such as Puerto Rico, the British Virgin Islands, St. Maarten and Antigua; U.S. mainland states from New York to Florida; and countries such as Canada, the UK, Belgium and Australia. 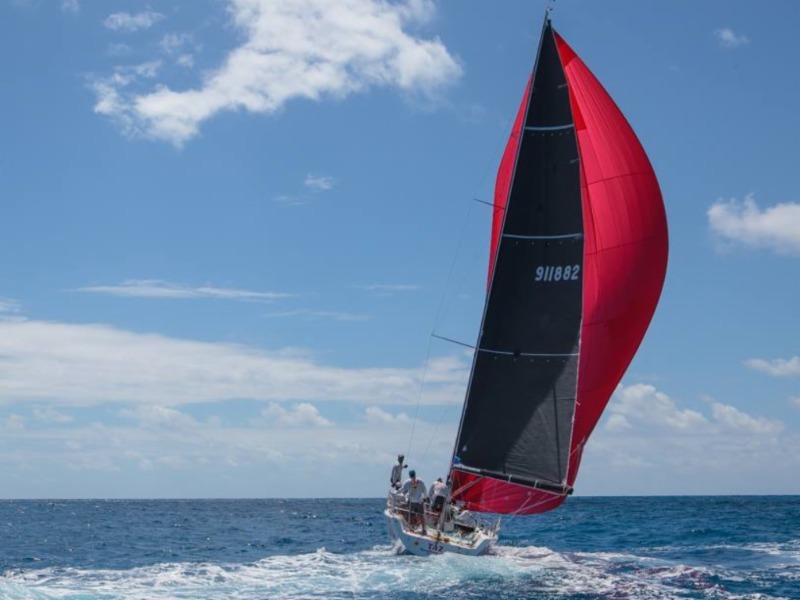 What’s more, this long recognized ‘Crown Jewel of Caribbean Yacht Racing’ features an impressive range of talent from professional sailors and avid weekend warriors to those just learning to sail both adults and youth. The CSA (Caribbean Sailing Association) Spinnaker class features some of the largest boats in the regatta as well as some of the fastest. Key among them is Blackfish, New York, USA’s Ron Zarrella’s custom-designed, 49-foot, cold-molded racer/cruiser, built by Brooklin Boat Yard, in Brooklin, Maine, and launched in 2017. Brooklin Boat Yard teamed up with designer Jim Taylor of Marblehead, MA, on this very successful design. Another hot entry with a fast boat and an all-star crew is Flying Jenny, a C&C 30 owned and sailed by Utah, USA’s Sandra Askew. Askew will be sailing with husband Dave, daughter Olivia, and professional sailors such as Charlie Enright, Will van Cleef, Brady Stagg, Peter Crawford, Norm Berge and Grant Spanhake. Sailing north from Antigua to join the action is Bernie Evan-Wong and his crew aboard the Reichel-Pugh 37, TAZ. Evan-Wong’s crew already have solid finishes in the RORC Caribbean 600 in February and St. Maarten Heineken Regatta earlier this month under their racing belts. Blackfish, Flying Jenny and TAZ will sail in the Round the Rocks Race as well as the traditional three-day STIR. One of STIR’s first-time entries in the CSA Non-Spinnaker Class is Sonoma. 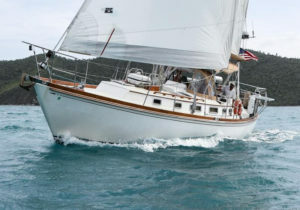 Sonoma, captained by Craig Harms, is a classic 1986-built Bristol 41.1 center cockpit model, that operates as a luxury day and term charter yacht throughout the Virgin Islands. Through Harms involvement with the Virgin Islands Professional Charter Association, he became aware of the Marine Rebuild Fund and its initiative to help local Virgin Islanders learn to sail and become involved in the charter industry. Harms decided to assist this effort by training a crew of Virgin Islanders to compete in regional sailing events. The team’s first event was the St. Croix International Regatta two weeks ago. The biggest and likely the most competitive class will be the IC-24s. Eighteen of these one-design vessels, a modification of a J/24, will be on the start line. Some of these boats are privately owned and some have been chartered from the St. Thomas Sailing Center, located at STUC. An example of the latter is David McBrier, from Erie, PA, USA, and his team. Finally, multihulls will be represented in two classes: beach cats and Hobie Waves.